Born in Seremban, Pak Latiff, as he is popularly known to serious art collectors, was a child prodigy and has become an artist virtuoso of epic reputation. 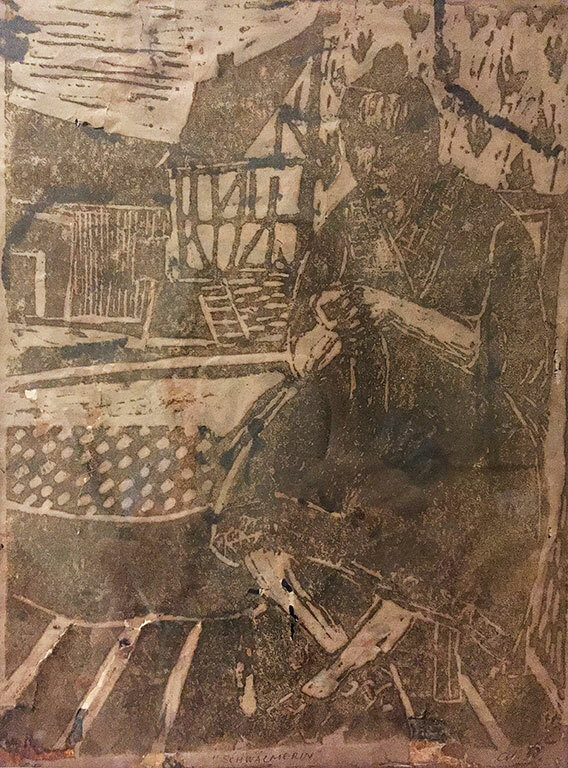 One of the early modenists in Malaysia, he studied at the Hochschile for Buldende Kunst (Academy of Fine Arts) in Berlin from 1960-1964 on a German scholarship. Naturally, his earlier influences bear traces of German expressionism, as seen in this piece which was completed in 1962. Latiff later embarked on a tour of Southeast Asia, which included countries like Thailand, Laos, Cambodia, Indonesia. In 1969, he furthered his studies in printmaking at the Atelier La Courrier in Paris on another scholarship. In the same year, he went to Pratt Institute of New York on a John D.Rockefeller III scholarship.